Having a breakfast nook where you can sit and have a warm cup of coffee while enjoying a good article is always ideal. 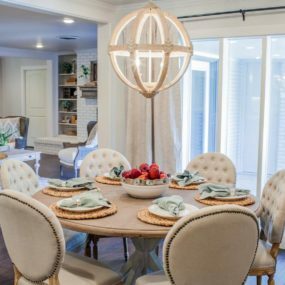 There is something very country, yet modern about having a space that is specifically designed to allow you to enjoy breakfast with your loved ones in a cozy space. 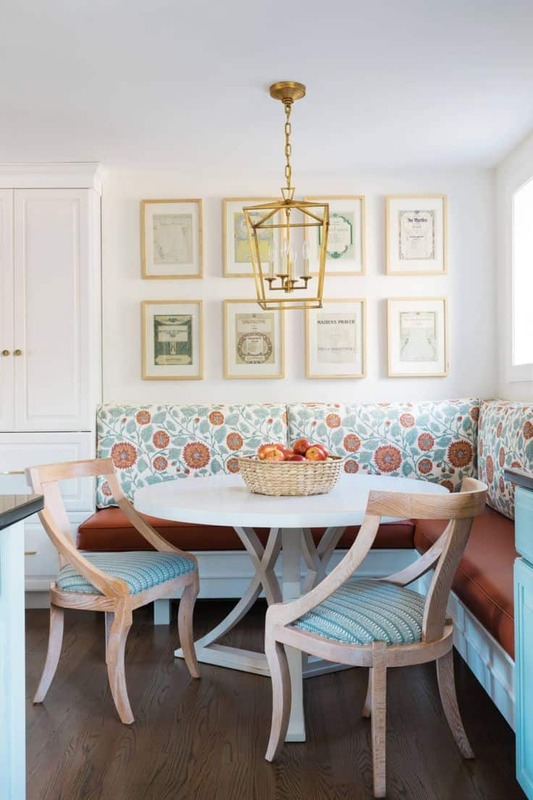 Although breakfast nooks have been around for centuries, they are now coming back on trend in a big way. 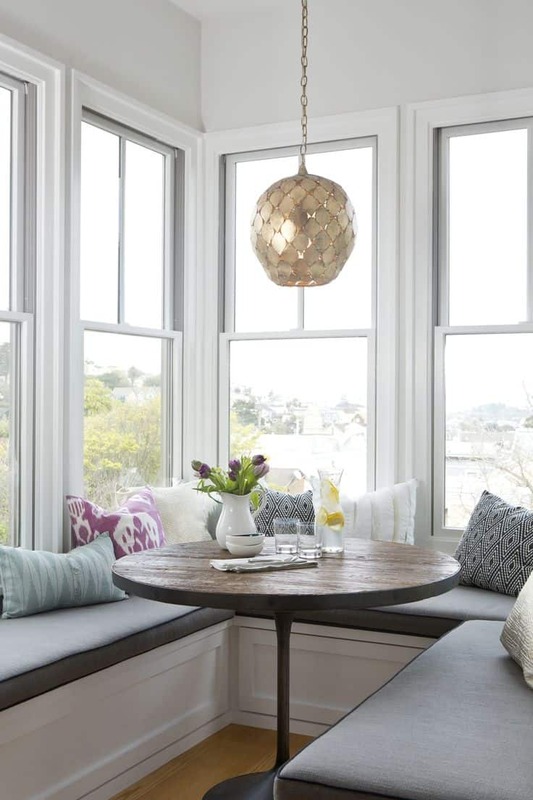 Here are trendy breakfast nook ideas that are sure to make you want to have a breakfast nook of your very own. Keeping your off-white decor clean and simple is great. 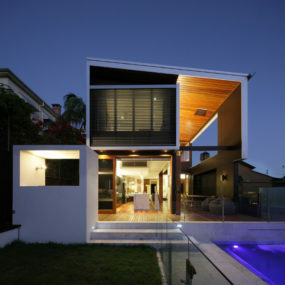 However, if you want to take it a step further consider adding a simple yet contemporary light fixture. Doing so will create an elegant space that is also trendy and put together. An off-white palette has been trending for the past 3-4 years or more and this year will be no exception. Using off-white hues as part of your décor works so well because pairing other colors in the space just became a whole lot easier. Add different shades of white to your breakfast nook for a look that is trendy yet works exceptionally well with any other décor pieces you may have. Olive green is an excellent kitchen wall color. It is warm yet trendy and works well with the neutral shades that may be in your kitchen already. Add simple white decor for a well put together feel that is natural and beautiful with a pop of color that is not overbearing. Using different shades of green in your home can be particularly scary. This is mainly due to green being such a bold color. Instead of having green pieces, consider having olive hues instead. Olive hues will work well with white shades. Add bold olive-green chairs and pair them with white accents for a fresh twist in a sunny breakfast nook space. Wicker chairs are a very laid back furniture item as they are usually seen as outdoor pieces. However, when you pair them with a simply beautiful, neutral table they add a refreshing twist to your decor. 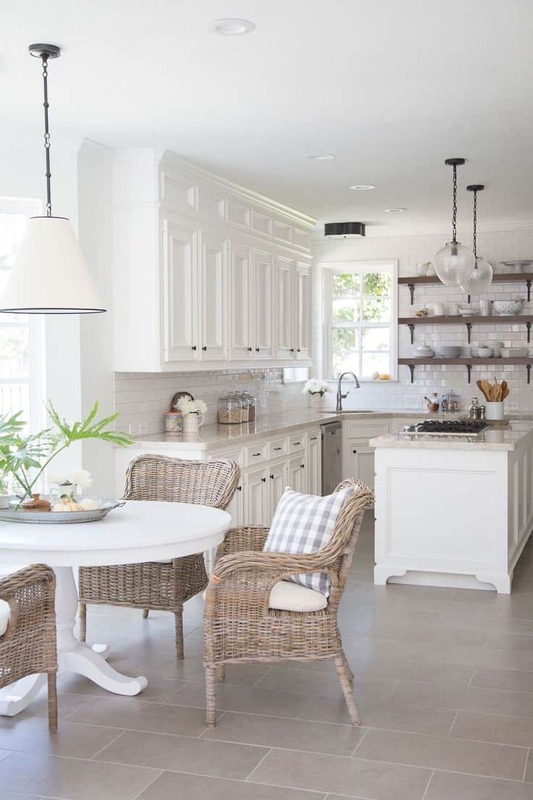 So much so that your wicker chairs can give you that beach house feel right in your kitchen. Wicker chairs are traditionally used outdoors. However, adding them to your breakfast nook can give you a cheery effect right inside. Pair your wicker chairs with shades of yellow for that contemporary appeal that adds a bright contrast, when paired with the darker hues of wicker from your chairs. You can even add bright yellow pillows for a rounded pop of color that flows throughout your entire breakfast nook space. A built-in nook works because of how versatile they are. You can use it as a breakfast nook, as a homework station for the kids, or even as a home working space. When your nook is already built-in it becomes a permanent part of your living space therefore, it is easier to design around it. Built-in Breakfast nooks tend to be the most desired. They are easy to work with once you already have them installed. Plus, let’s not forget building your own breakfast nook allows you to create the perfect customized space for you and your family. 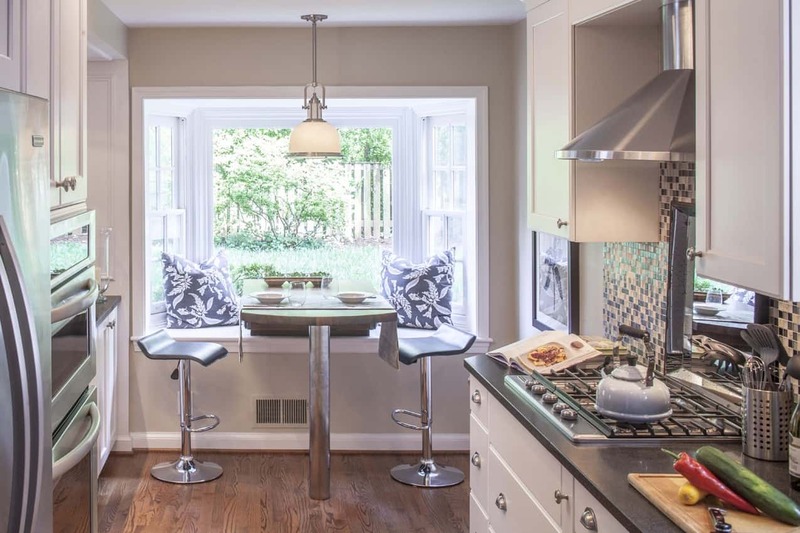 Create a custom nook near a window for a bold space that sits directly in your kitchen. Keep your customized built-in breakfast nook simple. Maintaining the space simple will give your kitchen the main focus while still having the luxury of a breakfast nook. Having a small kitchen space does not mean you can not have a breakfast nook. It simply means you have to be smart with the items you select to incorporate into the space. That is where bar stools and a smaller table will come in handy. They will provide the breakfast nook you desire in a smaller version. 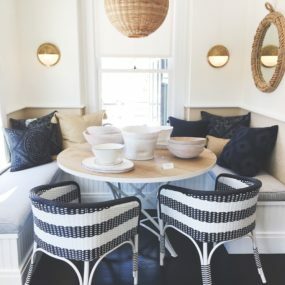 Instead of having a large breakfast nook that allows seating for multiple people consider having a small area with a small table and one or two bar stools. Creating this personalized space will add a modern feel even to the most traditional kitchen. Not only that but having a smaller breakfast nook serves the purpose of having an intimate space where you can enjoy a nice warm cup of tea or coffee any time of the day. 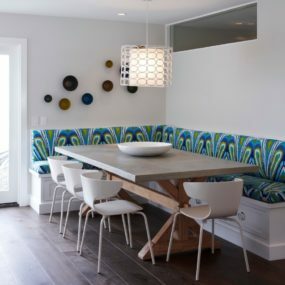 You can choose to have a removable bench or a built-in bench the options are endless when you decide to add a bench to your breakfast nook. Add in a few other chairs for more seating space. 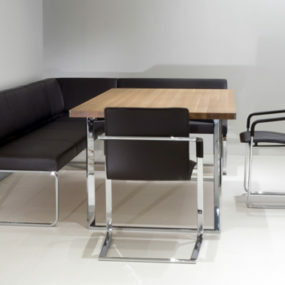 You can even incorporate differently shaped chairs for a trendy look that is easy to interchange. We are huge fans of having a bench in the kitchen space. We love the idea of having a bench because of how versatile it is. It allows you to have a larger seating area while still being cozy and traditional. You can always add to the bench if you need even more seating space which is another excellent reason to add one to your kitchen. Using darker hues works well to elevate the space and give it an elegant fell. There is something very elegant about having a darker accent wall that brings a focal point to your breakfast space. Pair your darker shades with soft pastel hues that add a hint of softness to the space. Adding darker hues into a bright kitchen creates the perfect contrast between the two. It creates “drama” in just the perfect amount. You can add darker hues by painting a wall a dark shade or by simply having darker shades of furniture as part of your kitchen nook space. Powder blue is an excellent additional color. What this means is it works well with other colors especially bolder colors such as orange, yellow, green, and/or purple. These bold colors will bring out the different shades that are already part of the powder blue shade. Powder blue became a popular hue to use in the kitchen space in the 1920s and it is now back on trend. 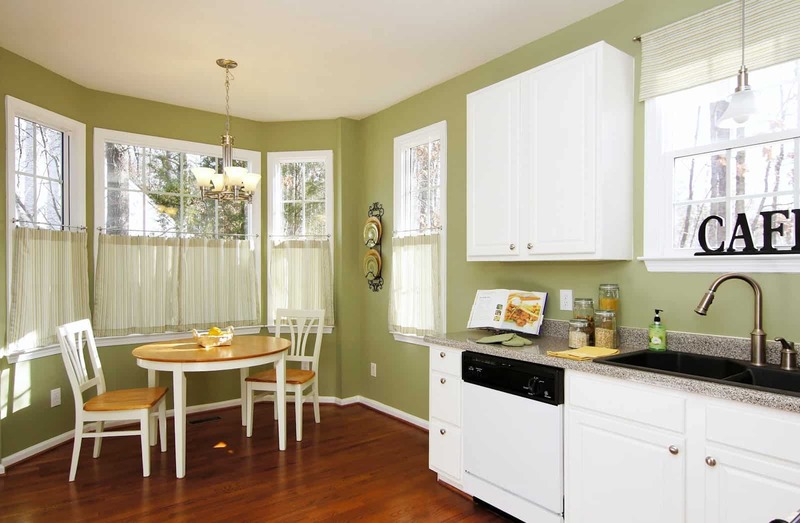 Using the hue as part of your kitchen space adds that traditional feel that is also trendy. 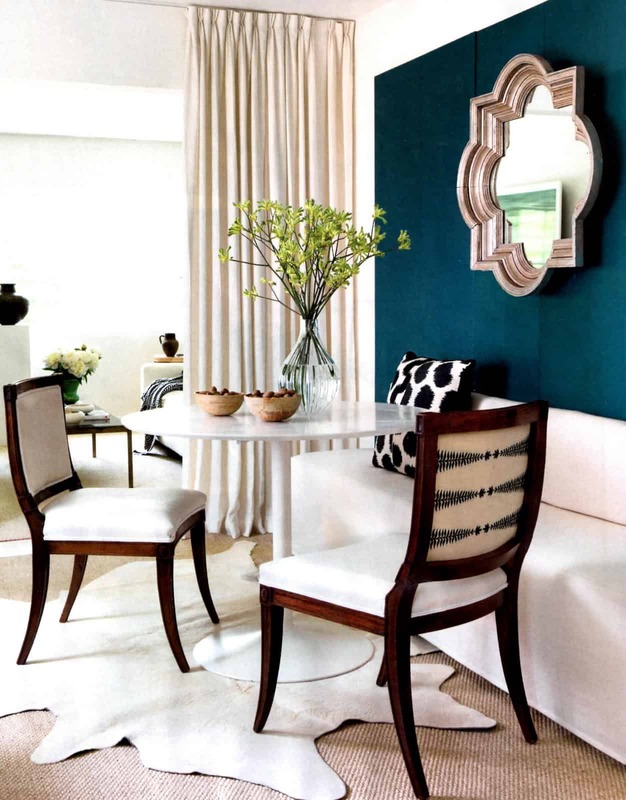 Add upholstered powder blue chairs for the perfect finish that is classy yet modern and contemporary. 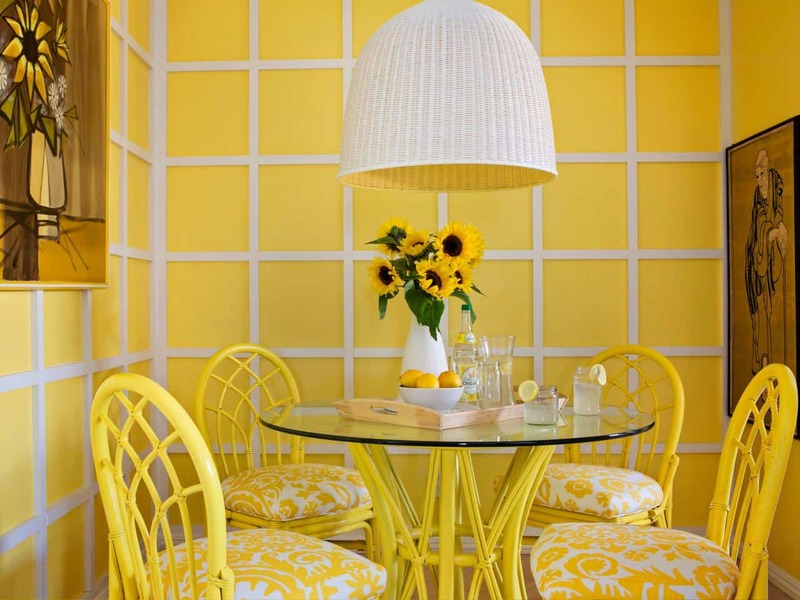 We love the idea of using yellow as the main hue for your breakfast nook. 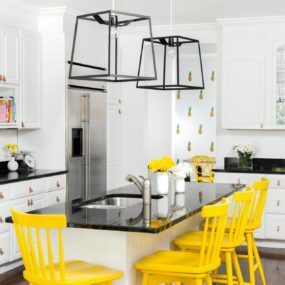 The bold, cheery, effect yellow has will make your breakfast space your favorite area of your kitchen even on the gloomiest days. Adding neutral shades into the space will make the bold shades of yellow appear brighter and more put together. As we me mentioned before yellow is such a bold shade that it adds a beautiful twist to any décor you may have. Having bold shades of yellow as your main color hue will make the space appear larger. Yellow works well with wooden items. Therefore, if you want to add a twist of modern, well still being cheerful and fun having yellow as your main color is the way to go. 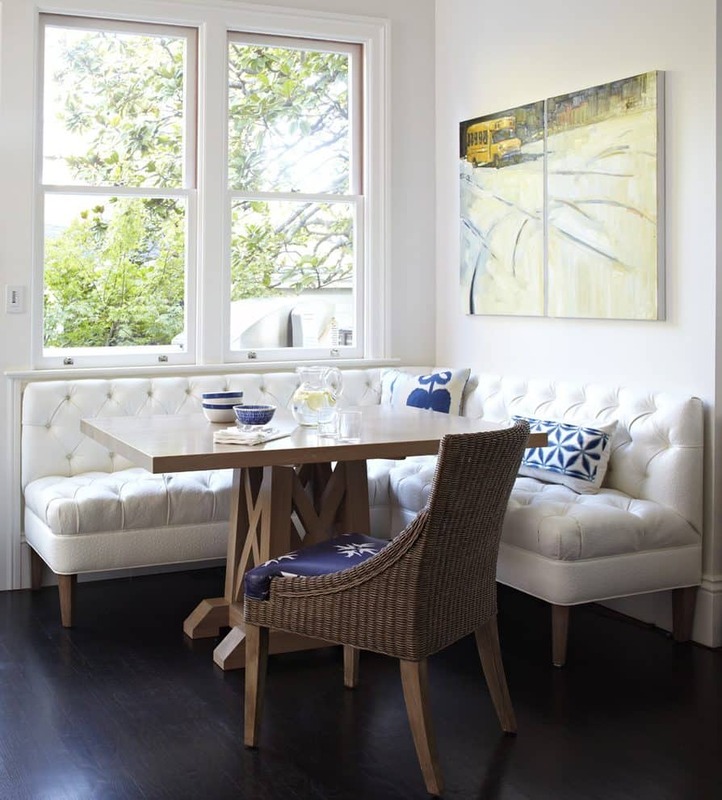 We love the idea of taking a modern breakfast nook and adding a glamorous touch to the space. 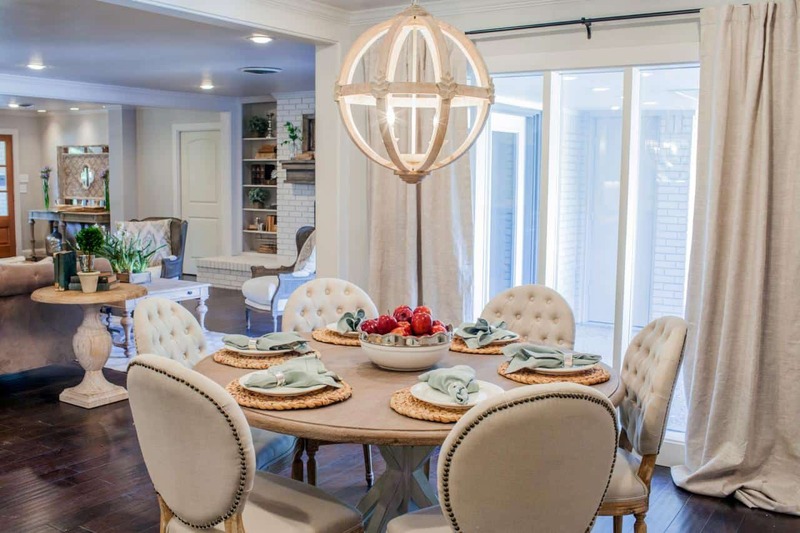 Adding a simple metallic chandelier or lighting piece will prove the glamour without being “too much” the idea is to have a piece that adds a classic appeal without taking away from your current decor. Glam means different things to different people. Some individuals will tell you glam is having metallic hues around and others will tell you glam is having an exceptionally well-constructed chandelier. Both versions are correct. 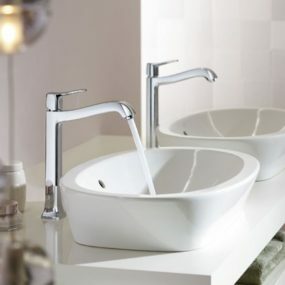 However, when it comes to glamorizing the space you want to take pieces that are elegant yet contemporary. 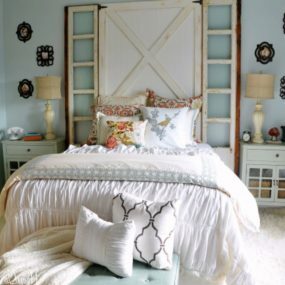 Doing so will bring a glamorized twist to your décor. Which of these breakfast nook ideas do you want to use as part of your kitchen décor? Please let us know your thoughts in the comments below.